In the beginning, Palm Springs was born as a getaway for Hollywood’s top stars. Then came golf. The first 18-hole course was Thunderbird Country Club in Rancho Mirage, which attracted stars like Bob Hope, Bing Crosby, Dean Martin, Jack Benny and Desi Arnaz. Perhaps one of the area’s brightest luminaries is golf legend and course designer Arnold Palmer, who won more than 90 tournaments, including the Masters (four times) and who often spends winters here. 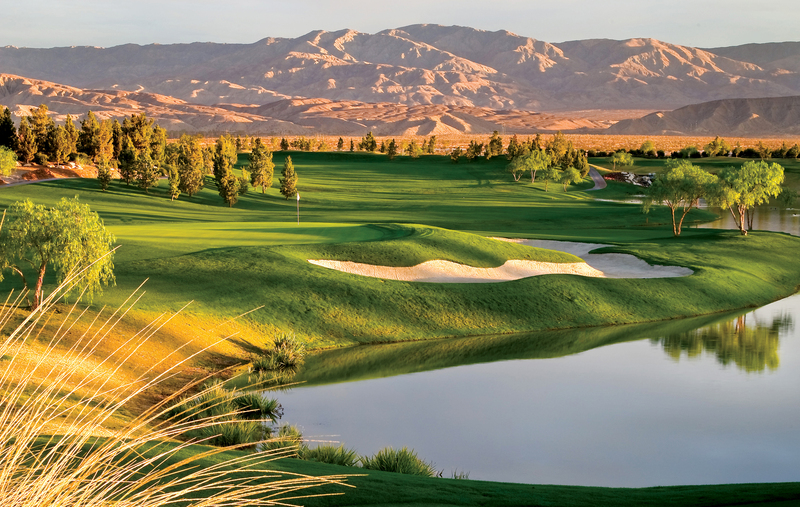 Today, Greater Palm Springs is home to more than 110 golf courses, many of which have been designed by Arnold Palmer, Pete Dye, Jack Nicklaus and Greg Norman. The region’s manicured courses, silhouetted by stark mountain backdrops, offer play at all challenge levels. 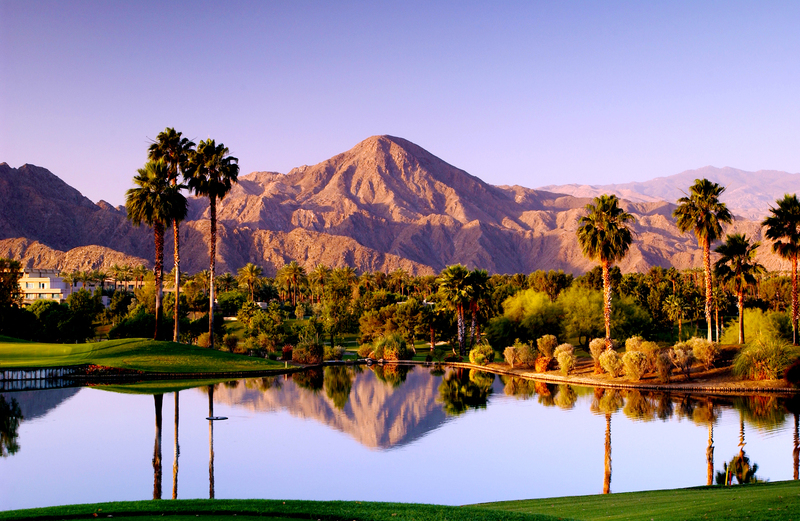 Located in Palm Desert, California, just minutes away from Palm Springs, Desert Willow Golf Resort provides two of the Coachella Valley’s best plays. Test your skills against the natural hazards and myriad water features of the challenging Firecliff Course or play a smoother, more relaxing round on the magnificent Mountain View Course. Desert Willow Golf Resort has an outstanding staff, two championship golf courses, a spectacular clubhouse and scenic outdoor dining as well as stunning views of the surrounding Santa Rosa Mountains. The Palm Desert Golf Academy at Desert Willow provides world-class programs using the latest in technology. Rated one of the “Top 100 Courses in the World” by Golf Magazine and 4th toughest course in America in Golf Digest’s “Top 50 Toughest Courses in America” (2007), there may be no greater challenge or excitement in the game of golf. At 7,300 yards, The Stadium course at PGA West has the highest stroke (76.1) and slope (150) ratings of all the courses at PGA WEST®. 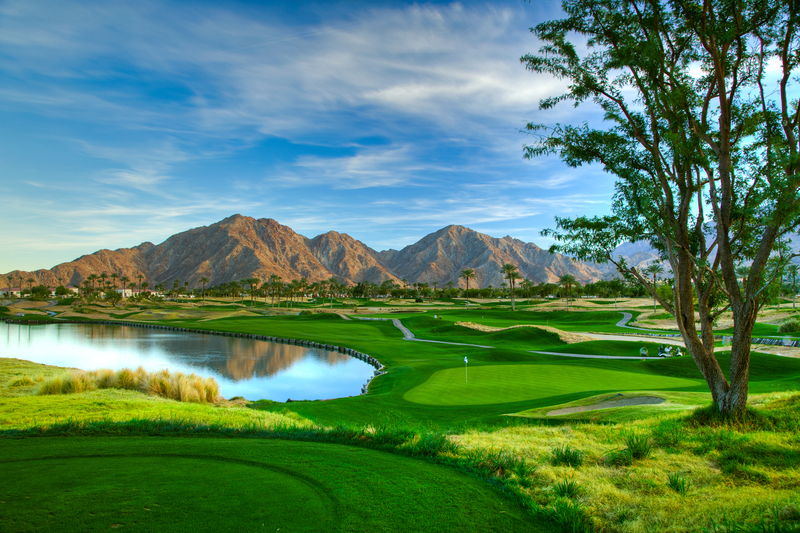 A Pete Dye golf course, The Stadium Course at PGA West delivers multiple adrenaline rushes throughout the round. Host to PGA TOUR “Q-School” Finals every other year, PGA TOUR hopefuls must navigate the island green of hole #17, known as Alcatraz, as well as the menacing water-lined 18th. Imagine needing to make par-par on two of the toughest finishing holes in golf to earn the coveted PGA TOUR card. Named “Stadium” thanks to Dye’s plan to sculpt spectator seating into the natural terrain, many historic moments in golf have occurred here, including Lee Trevino’s unforgettable hole-in-one on Alcatraz. This won him a carry-over Skin worth $175,000 in the 1987 made-for-TV “Skins Game,” hosted at PGA WEST from 1986-1991. With five sets of tees, the course lures all skill levels. This 18-hole, par 72 championship Arnold Palmer-designed course offers a variety of tee options, appealing to players at all levels of the game – from novice players to those on the PGA TOUR. The course has rolling terrain with several elevated tees featuring a core design with pine, olive and pepper-wood trees, offset by flowering bushes, shrubs and pine straw ground cover, all playing off of the surrounding mountains and vistas that are exclusive to the Coachella Valley, to make for an incredibly beautiful golf experience. PGA teaching professionals provide programs for all skill levels. Clinics, private, and group lessons are available. The Westin Mission Hills Golf Resort and Spa encompasses two world-class golf courses: the Pete Dye Resort Course, which has a challenging yet forgiving design and the Gary Player Signature Course, which has a player-friendly layout. The Pete Dye Course is one of the designer’s most enjoyable courses. At 6,706 yards and par 70, it is playable for all levels. 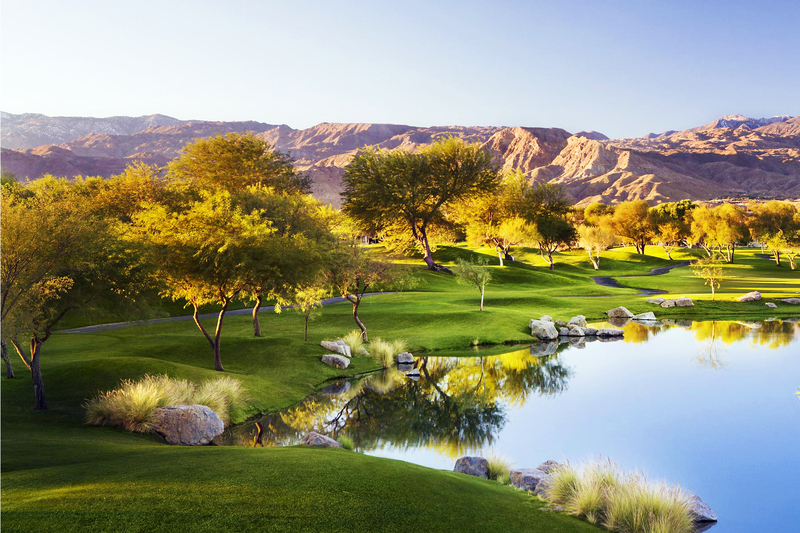 Gary Player Signature Course is the only Gary Player signature course in Palm Springs. It plays to 7,062 yards at par 72, with small greens and strategically placed bunkers. This 36-hole Palm Springs golf resort, minutes away from the Palm Springs International Airport, and located within walking distance from four luxury hotels in Indian Wells, features a magnificent 53,000 square-foot clubhouse and is one of the few properties to have two courses ranked in the Top 25 “Best Municipal Courses in the United States” by Golfweek Magazine. The Celebrity Course & Players Course, aka “Beauty and the Beast,” have hosted Golf Channel’s Big Break and the PGA’s Skins Game. The Celebrity Course at Indian Wells Golf Resort near Palm Springs, CA opened to rave reviews in November of 2006. Playability, diversity and challenge are the highlights of Clive Clark’s masterpiece. With remarkable attention to detail, breath-taking mountain vistas, meandering streams, natural flowers and striking waterfalls, the world-class design provides visual as well as golfing pleasures. The 53,000 square foot Douglas Fredrikson designed clubhouse, aptly named the IW Club, includes the Vue Grille and Bar. The Players Course opened in November of 2007. Designed by prominent architect John Fought, the course presents a contrast to the Celebrity Course and features dynamic bunkering, generous fairway corridors, and undulating topography. The Players Course is aesthetically interesting and provides a challenge to players at all levels. Nina Africano is golf editor at Luxe Beat Magazine.